ENJOY ALL THE BENEFITS OF GROUP FITNESS! Our fitness classes at Pro Performance are a great way to get in shape with the added motivation of having fun and working out with others. We are always introducing new and exciting classes in our Group Fitness Studio, and we offer a variety of RIDES in our Cycling Studio at Pierpont. ALL classes are FREE with your membership. 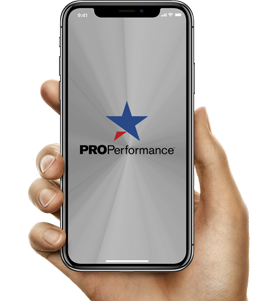 Please download the Pro Performance app to view and book classes. If you are not a Pro Performance member, we offer a non-member daily rate of $10. This includes unlimited classes for the day and access to all of our locations. For group class participation using this daily rate, please download the app and create an account to make your payment and book your class in advance. Please arrive at least 10 minutes early so our instructors have time to meet you. This class blends the latest exercise science with the principles of the Lotte Burke method (the genesis of the Barre movement) delivering a fusion of ballet, Pilates, yoga and strength training in each workout. This full-body workout consists of multiple circuits of exercises including a BOSU ball in the mix. You control the increase the intensity of your workout and the BOSU will improve your balance too. Choreographed moves may also be included to give you a burst of cardiorespiratory fitness. Get ready to move! This empowering, core-focused workout is inspired by the highest-octane sport in the world—mixed martial arts. It includes authentic Boxing, Kickboxing, and Muay Thai moves, explosive power moves, and interval training that all engage your core, so you get in killer shape, incredibly fast! Core Yoga is a fun, creative yoga that also gives you more calorie burning benefits. Challenge your mind and body while discovering new alignment and Core strength. Learn how to locate and engage the core, and how to use the technique properly on the mat to see the benefits in everyday life-strength, flexibility, weight loss, and more. A professionally choreographed dance program created by world-famous choreographer and fitness trainer – Shaun T. The class breaks down dance routines, step-by-step, so that anyone can dance. You will burn serious calories, and it’s so much fun, you’ll keep coming back for more. It’s also a great way to create a strong community of support, camaraderie, and body-transforming breakthroughs. Prepare to ENJOY THE RIDE and TARGET THE CORE MUSCLES in this combo class. You will start with a high intensity RIDE then GET BUSY with core strengthening exercises to work all the major muscles from your shoulders to the hips to build strength and improve posture! Prepare to ENJOY THE RIDE and then some with this total body workout. This class begins with Cycling to promote cardiorespiratory fitness and condition the lower body. Then you will work ALL the major muscle groups and get a total body stretch to include with an emphasis on promoting flexibility in the hip flexors and hamstrings, muscle groups that are commonly tight in those who cycle. Treat yourself! Prepare to ENJOY THE RIDE and SCULPT YOUR BODY with this combo class. You will start with an exhilarating RIDE to enhance your cardiovascular fitness and finish with a blast of muscle conditioning to build strength and definition. Water and towels are a must! All bikes are equipped with both standard pedals (cage) and SPD cleat clips. Prepare to ENJOY THE RIDE with this non-impact cardio cycling class. You will experience a variety of riding positions and intensity drills while building endurance, strengthening your core and conditioning your muscles. Whether you are a beginner or a seasoned cyclist, you will learn and improve upon cycling concepts and skills. Water and towels are a must! All bikes are equipped with both standard pedals (cage) and SPD cleat clips. Prepare to double your fun as you ENJOY THE RIDE with this extra long cycling class. You will experience a variety of riding positions and intensity drills while building endurance, strengthening your core and conditioning your muscles. Whether you are a beginner or a seasoned cyclist, you will learn and improve upon cycling concepts and skills. Water and towels are a must! All bikes are equipped with both standard pedals (cage) and SPD cleat clips. Challenge your muscles with resistance training and achieve flexibility with a variety of stretching techniques to get the results you are seeking! Get ready for a non-stop class packed with muscle conditioning and plenty of stretches that will leave you feeling great! The class is all about the maximum muscle conditioning! Exercises are performed with a variety of equipment, and the non-stop transitions allow you to maximize your caloric burn. Balance challenges and flexibility are also included in this total body workout. Prepare for some aerobic interval training with music you love and intense easy to follow fitness choreography. It combines fun (pop songs of old and new that everyone knows and loves) with intensity (intervals, plyometrics and cardio) and consistency (each song has specific simple moves) to have you feeling energized! In this unique format, you will learn the footwork and body isolations used in Belly Dance. This class if for all levels of Belly Dance and you will learn to pair the movement techniques with the basic rhythms associated with this dance form. Get ready to move in ways you never did before! This workout is designed to increase lean muscle and get you in the best shape of your life. You’ll do cardio and plyometric drills with intervals of strength, power, resistance and core training. Experience bursts of maximum-intensity exercises with short periods of rest for maximum caloric expenditure! This muscle conditioning format is a total-body, cardio, and strength-training class utilizing body weight and a variety of equipment. You will challenge your body to bust through plateaus for faster results and greater fat loss! Channel your inner performer and rock your body with this modern-day fusion of movement and music. Drum along to a slammin’ soundtrack using Ripstix – weighted drumsticks designed to transform drumming into an awesome, fat burning, full body interval workout that will leave you dripping with sweat. Pilates mat class borrows from disciplines such as dance, yoga and classic calisthenics and allows you to stretch and strengthen your body, primarily the muscles of the core, which span from your hips to your shoulders. This body-weight workout utilizes strength and flexibility moves inspired by the best of Pilates and yoga along with traditional strength moves. The fluid, low-impact sequences allow you to burn calories without the stress of impact, but… high-impact “power” moves are options for those who wish to push their intensity. This class incorporates a flowing series of asanas linked by the breath, designed to build strength and stamina in the body and tranquility in the mind. Power yoga is vigorous but suited for all levels with modifications provided throughout by our instructors. Power yoga engages every muscle group with emphasis on developing balance and flexibility. Pranayama (breathing) exercises and meditation are included in the power yoga practice. This class uses a variety of weight equipment to condition muscles while raising metabolic rate for rapid fat-burning. Get ready to work all the major muscle groups with a series of weight training exercises to get maximum muscle conditioning! Are you ready to be the sexiest, most confident you? Then get in the zone and experience Turbo Kick? No bags. No gloves. Just challenging boxing combos choreographed to the hottest music mixes. Perfect your form and figure, bond with Turbo fanatics, and get seriously hooked on the Turbo High! This workout includes resistance and cardio training techniques to improve your endurance and help you build strength. Get ready for a full-body challenge as you move from station to station to complete a variety of exercises! Vinyasa yoga is a series of poses that will move you through the power of inhaling and exhaling. Asanas are smoothly flowing and almost dance like, which explains why it is sometimes referred to as Vinyasa flow or just flow. An energetic, dance fitness class delivering a total body workout. Dance to a variety of multicultural music while burning calories and improving muscle conditioning, balance and flexibility. Feel the vibes and torch the calories! Interested in Fitness Classes and want some more informtion? Fill out this contact form and we will get back to you.